ExxonMobil, with joint venture partners PetroVietnam and PetroVietnam Exploration Production Corporation, said it is advancing plans for a multi-billion dollar integrated gas-for-power development in central Vietnam. The company has awarded the contract for front-end engineering and design, and is filing appropriate permits, planning applications and other preparatory work for the proposed development. Vietnam Electricity, PetroVietnam and Sembcorp are in discussions to build and operate the power plants. 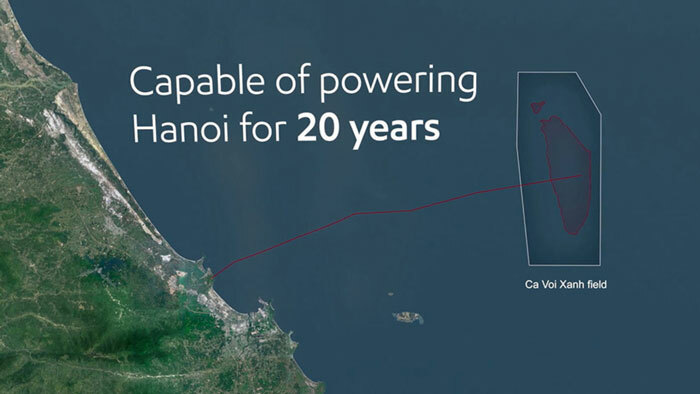 The proposed base development is expected to generate three gigawatts of power, equivalent to about 10% of Vietnam’s current total power demand.